Dress in nearly perfect condition. Hundreds of crystals applied. 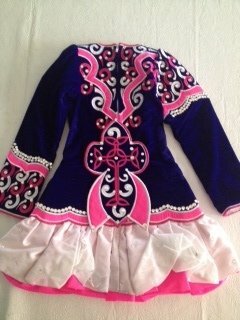 Dancer placed 4th at Western Region Oireachtas and 12th at Nationals in this dress. Stunning deep blue velvet color shows beautifully on stage. Matching fabric headband and kick pants included. Room for let out.and down. 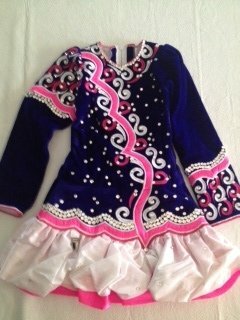 Would fit small 7-10 year old. 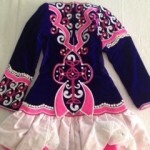 Asking Price: $US875. Shipping costs are not included in the asking price. Sale is final.